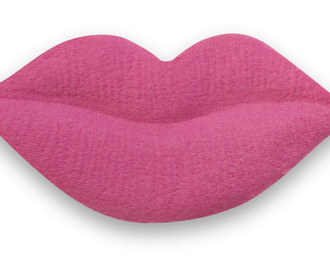 Hot Pink Hot Lips!! These are great for showers and parties.The Kiss brings the anticipation of romance, send him or her Silk Lips in your love notes, or as a prize at his bachelor party.Of course use Hot Pink Silk Lips for the most Romantic Wedding and bedrooms,these say it all with a whisper LIP PETALS with great texture - they look so realistic, with skin lip lines! Lips measure: 1 7/8 wide x 7/8inch high.